JQ Talks: Aventree Jongno Hotel Review \\ Where to Stay In Seoul? Aventree Jongno Hotel Review \\ Where to Stay In Seoul? 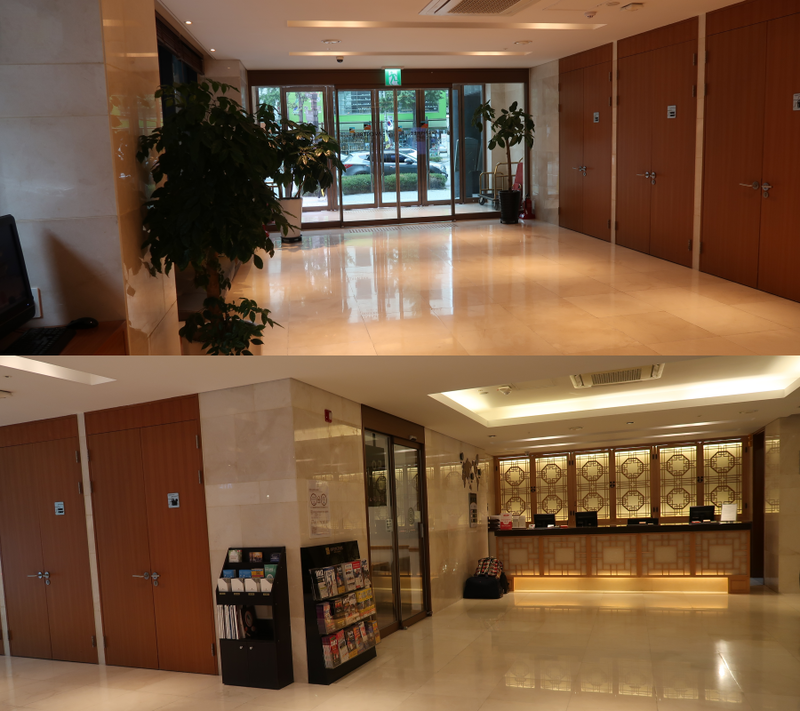 This was our final hotel that we stayed in when Dex and I were in Seoul. It was a hotel near Insadong with a nice exterior. From the outside, it looked quite grand but the room that we got weren't all that great. It was an alright room but we enjoyed our previous two hotels better, it was probably just the room that we were given. It was average. They probably have better rooms than ours. Check out our Seoul vlog below for more visual of this hotel. I'm pretty sure we got a standard room and I believe they have other nicer standard rooms than the one we got. The room that we stayed in didn't have a view, which is okay for us. However, the carpet were really old and dirty looking. Their toilet and shower room are separated and a little small, I don't prefer it but it was clean and very much usable with proper hot water. The beds are comfortable and clean with good wifi signal. TV worked decently too. We didn't had breakfast there thus we are not sure about the food conditions there. Personally, I think what got to me was the dirty and old looking carpet. It made the entire room felt less cozy. I don't think all of their rooms are like that, thus, if you are staying there and got a room like this, you may ask for a change of room if the carpet bothers you. Other than that, it's a hotel with strategic location, a lot of food stalls nearby and it's nearby a lot of tourist area. Plus, they have an airport bus stop right outside the hotel, which makes it perfect for tourist. After checking out, we took the airport bus back to incheon airport. We didn't need to drag our luggages to the subway station and the hassle of switching trains. It was so convenient! We could sleep the entire journey or enjoy the view of Seoul as the bus goes around to other airport bus stop before reaching the final destination of incheon airport. The bus was extremely spacious and comfortable with a super friendly driver. Feel free to get more details in the video I've embedded above for more info. For more info of Aventree Jongno Hotel, visit their website.